’Faith without words is dead,’ we are reminded. Quite true. But then what follows is usually some long and dreary description of works and what we should be about, as though the way to revive a dead faith were by putting up a good-works front. If the faith is dead, it is the faith that must be revived; no amount of works will do it. In other words, faith and works are related organically: “For no good tree bears bad fruit, nor again does a bad tree bear good fruit.” (Lk. 6:43); and the key to this relationship is not to focus on the fruit, but on the “root of Jesse”(Rm. 15:12). Far from a mere academic exercise, it was in an attempt to clarify none other than just this distinction that lead Luther and subsequent reformers to the rediscovery of the doctrine of Justification sola fide, because at the heart of a proper understanding of this relationship between faith and work lies the question, “how can I know I’ve done enough,” the impetus for Luther’s famous quest for a gracious God. In their book Lutheranism: The Theological Movement and its Confessional Writings,” Jenson and Gritsch explain that, “In the original Lutheran movement, the language of ‘justification’ was the locus of an epochal radicalization of the problematic character of human life,” a problem radicalized by the pastoral (ie. existential) failure of the medieval penitential system’s ability to assuage fearful and guilty consciences. In other words, the theology of the Reformation was, rightly understood, pastoral theology. It was on account of being forced back to the scriptures in search of the Gospel that Luther rediscovered the “God who justifies the ungodly,”(Rm. 4:5), whose righteousness was appropriated by faith. In this way, and to varying degrees, “works” returned to their place as the standard by which one knew one had faith, and thus even Luther’s own reversal of the traditional Roman Catholic understanding of fides caritate formata (faith formed by love) to caritas fide formata (love formed by faith), was marshaled in defense of this new system. It really does not matter whether you preach works as necessary before or after faith, because different means all point to the same end: good works. Instead of resting in the unconditional promise of the Gospel extra nos, now, it seems, the question is not “have I done enough?” but “do I really have faith? Do I really believe?” Correspondingly, the argument that faith is a gift of God and such faith naturally performs good works seems impossibly cruel. “’God will be gracious, ‘we say, ‘if only you believe,’ thinking to follow the Reformation. Instead, [we] thereby usually proclaim a works-righteousness that makes medieval Catholicism seem a fount of pure grace.” And so, still stuck with the “problematic character of human life,” we’ve returned to the initial problem which prompted Luther’s quest for a Gracious God: how do we understand the relationship between faith and works? Faith is nothing other than the certainty of salvation, the confidence in God’s merciful disposition towards us, and works done in faith make the work good. 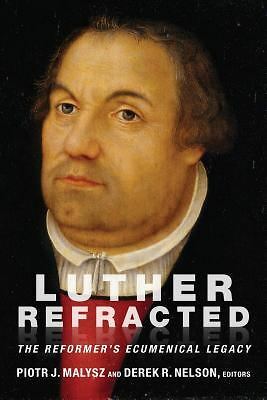 Bayer explains, “Luther directs his attention against those theologians who demand good work but who are weak in matters connected with the question about the certainty of salvation. According to Luther, the best works do me no good if I do not know how I am doing in my relationship with God. Without faith the best work is dead.”  In other words, only work done in the faith and security of God’s promised mercy towards us is a good work. Period. And so we have reached the confession, which Forde predicted. Appropriately, it comes at the end of this essay on the relationship between “faith and works,” because we confess that Christ alone “is the end of the law of righteousness, for everyone who believes.” And this is no mere intellectual assent to the proposition of what happened 2000 years ago; this is the confession that holds onto the (seemingly morbid) promise that by faith we have died! With the Apostle Paul, we confess that we “have been Crucified with Christ and it is no longer [we] who live” (Gal. 2:20), and by faith—daily, hourly, minutely—we are dying and rising to new life. In faith, we live as people who affirm in the words of the Anglican prayer book, “there is no health in us. But thou, O Lord, have mercy upon us,” and are confident that He has. When we approach this question, we are tempted, as always to look to ourselves as the measure of all things; however, we can confess Christ and his righteousness as the object of our faith, remain confident that such a faith “works,” and “go in peace, to love and serve the lord.” Thanks be to God. Gritsch, Eric W., Jenson, Robert. W Lutheranism: The Theological Movement and Its Confessional Writings (Philadelphia: Fortress Press, 1976), 38. For a further explanation, cf. the entirety of chapter 2:“A Christological Answer to a Radical Question,” 36-44. Forde, Gerhard “Forensic Justification and the Christian Life: Triumph or Tragedy?” A More Radical Gospel, Essays on Eschatology, Authority, Atonement, and Ecumenism. Mark C. Mattes and Stephen D Paulson, eds. (Grand Rapids: Eerdmans, 2004) 132-133.